The votes have been tabulated…or should we say digested? The results are in for the Chinese Restaurant Awards’ 2016 Diners’ Choice Awards, singling out the best Chinese food in Metro Vancouver. Between December 14, 2015 and January 31, 2016, Chinese food lovers were encouraged to nominate and vote for their favourite eats in 21 categories. As a testament to the popularity of the annual awards, organizers say they’ve seen a sevenfold increase in participating voters this year from the competition’s inaugural year–an impressive 34,152 votes were cast in this year’s voting period of 48 days. 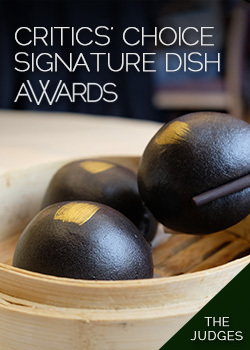 This year, new iconic dish categories are Best Sichuan Water-Boiled Fish, Best Taiwanese Braised Pork Rice, Best Hong Kong-style Roast Duck, Best Shanghai-Style Drunken Chicken and Best Mango Sago with Grapefruit/Pomelo. “Each new dish category was again decided based on the dish’s reputation as being popular, iconic or as a staple dish in a particular region in China, Hong Kong and Taiwan,” explains the CRA. There are a couple of other phases of the awards; the Critics’ Choice, the Social Media Choice, and the Awards Ceremony at River Rock Show Theatre on Wednesday, March 2, 2016.